← Is India the New China? Are you interested in making money and finding those ‘Million Dollar Opportunities? Would you like to be a millionaire by investing in the Precious Metals (PM) sector? 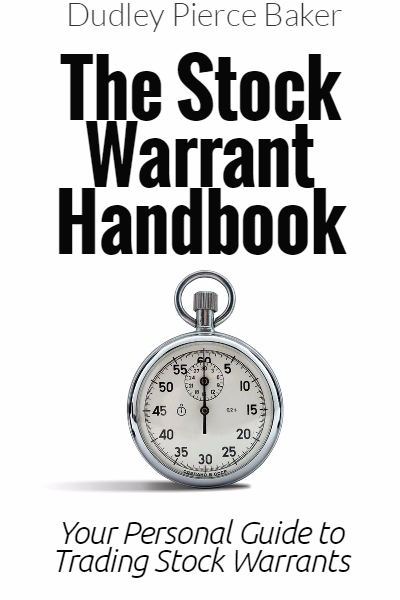 Do you know about stock warrants? If not, this is your lucky day, so listen up. Many professionals as well are not particularly knowledgable on stock warrants and will frequently recommend that their subscribers buy shares on XYZ corporation when there are interesting stock warrants available which will cost you much less and offer you the potential of many times more in gains. Frankly, many professionals in the business, brokers and newsletter writers, don’t know what stock warrants are trading because folks, it takes a hell of a lot of time to keep up with the comings and goings of stock warrants which are currently trading and available for investors to buy. Not to worry, this is what I do for my subscribers. Dam, I could not believe it. So never rely on your investment professional, brokers, other investment newsletters, etc. to tell you about stock warrants. My suggestion is for you to do your own homework and of course, listen to me. It all starts with ‘the list‘ and we are the only investment service, I call it a boutique investment service, which has ‘the list‘ of all stock warrants trading in the United States and Canada in all investment sectors. Basically, you decide which companies in which you want to invest, BUT before you buy the shares, you need to see if there are stock warrants trading on that company and the ability to see all of the details. My stock warrants databases includes all of the particulars you will need to make an informed decision as to which stock warrants, if any, for you to purchase, including company name, industry, symbols, expiration date, exercise price, intrinsic value, market capitalization of company and my Current Rating on each. All of the above specifics are sortable, so if you are interested in resource companies or biotechnology or restaurants, etc, they are easily grouped together. A stock warrant is a security giving the holder the right, but not the obligation, to acquire the underlying shares at a specific price and expiring on a specific date in the future. Sounds very similar to call options doesn’t it? I have put together a comprehensive Learning Center and suggest you visit it to get more assistance and understanding about stock warrants, but remember folks, this is simple, so don’t try and make it difficult. 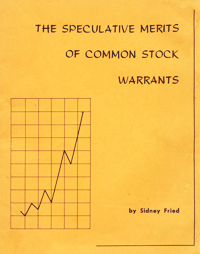 “The Speculative Merits of Common Stock Warrants“. Sidney was the leader in education on warrants many decades ago but this is still a very enlightening read. Why stock warrants instead of call options? Call options are available for a maximum time of 12 months which is of no interest to me as this is a fool’s game. You need much more time, time for the company to execute on its business plans and time for the markets to perform. Many of the stock warrants trading will have a minimum of 24 months and many have a five (5) year life when they are issued. Now this gives you more time (and the more time the better) making stock warrants an investment instead of a short term speculation. But Dudley, why buy the stock warrants instead of the common shares? Leverage, buying stock warrants is all about getting more leverage and the possibility of much greater gains than buying the common shares. Simply put, if the common shares of XYZ Gold increases by 100%, I am looking for the warrants to go up a minimum of 200%, thus a leverage of 2 to 1. Think about if your common shares would go up by say 500% but your stock warrants go up 1000% or more. That is what stock warrants are all about. One gold company which has done really well since the beginning of 2016 is Brazil Resources, TSX:BRI. The shares closed today, June 6, 2016 at the high for the year at C$1.80 and from a low in January of C$0.375 for a gain of 380% in just over 4 months. The company has stock warrants trading with an exercise price of C$0.75 and the expiration date is December 31, 2018. But most investors did not know, “how would you know?“ that there are stock warrants trading on Brazil Resources,TSX:BRI.WT. (This is why you need my list). 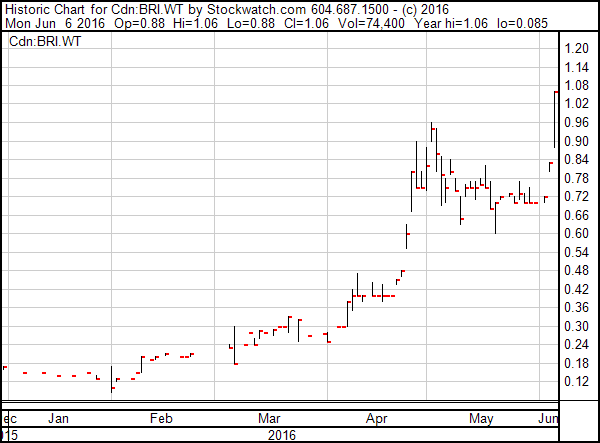 The warrants closed today at their yearly high of C$1.06 in late trading up from the low in January of C$0.085. That’s correct, the warrants have gained 1147% this year. The leverage for these warrants is 3.02 ( 1147% divided by 380%), meaning the stock warrants out performed the common shares by 3 times. This is why you want to consider adding some stock warrants to your portfolio NOW to attempt to capture some of these outrageous gains and think about it, the resource stocks are just starting to perform and there are many great opportunities available, if you know how to find them. As a subscriber to http://CommonStockWarrants.com you would have seen not only that Brazil Resources had stock warrants trading but you would have had my entire list of companies with stock warrants trading with complete details. In effect, you would have had the list of all stock warrants trading at your fingertips. I will close with today’s chart from our friends at Stockwatch.com on Brazil Resources stock warrants, a picture of beauty to any investor.